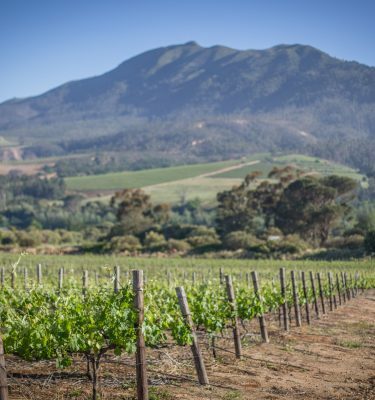 Let us show you the best that Cape Town and the Cape Winelands has to offer. It’s easy to lose yourself for days on a South African cycling holiday. 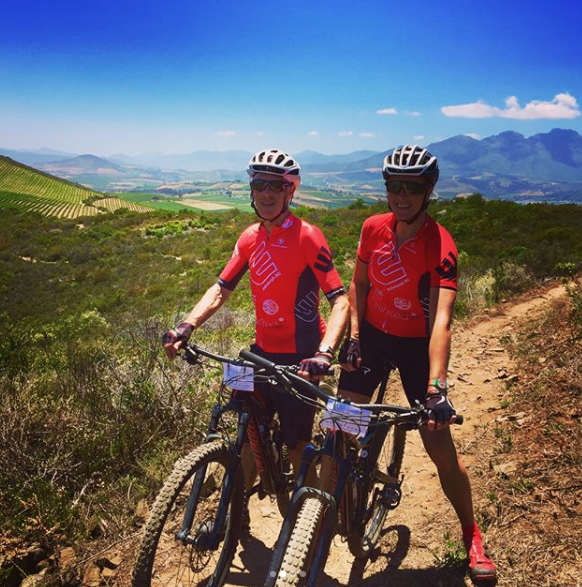 As well as riding the hundreds of kilometres of sweet single track against a backdrop of majestic mountainside, you cannot forget the multitude of other adventure, food and wine experiences on offer! 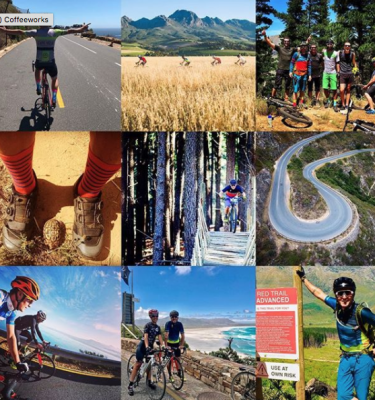 Cape Vélo takes the hard work out of planning your Cape Town cycling break by creating a customised itinerary that will provide you with your preferred balance of cycling and tourist activities within a level of comfort and luxury that you require, at a price that you can afford. 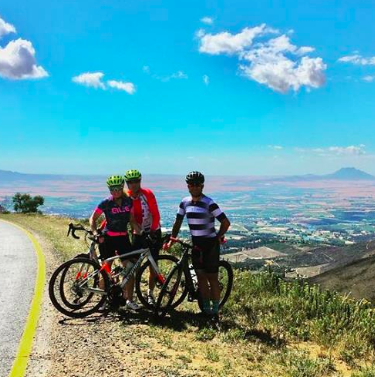 In the same way that we keep our tour sizes small and personal, we aim to create cycling holidays that speak personally to our guests in terms of your personal style and your wider greater interests outside of cycling, whilst offering a true insight into Cape Town’s enviable lifestyle. 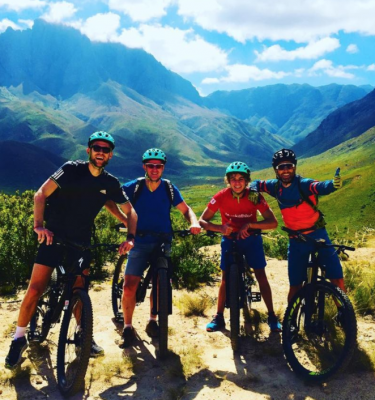 From accommodation to transfers, wine tasting to epic single track trails, we’re out to ‘wow’ you with a South Africa cycling break that is hard to beat, that will have you coming back again for more! Are you a cycle club looking for a cycling escape to warmer climates? Hook us up with your requirements and we’ll put together a challenging training programme that also gives you plenty of time to enjoy a chilled beverage in the sun with your mates. High-spec bikes for hire at competitive rates with local delivery to your doorstep. Cape Vélo will blow you away with not just the most spectacular scenery but a cycle to get those legs working and the adrenaline pumping.